Since we arrived in Abu Dhabi our lives have changed in many ways but they have remained consistent in many ways as well. One of the major reasons we wanted to live abroad was access to more travel outside of the United States. Tony is very fortunate to have almost 10 weeks off throughout the year with both midterm and summer breaks, and this is what will allow us the time to travel. A huge benefit to living in the Middle East is that we are quite literally living in the center of the world; in terms of travel this means that many major airlines have hubs in the region. 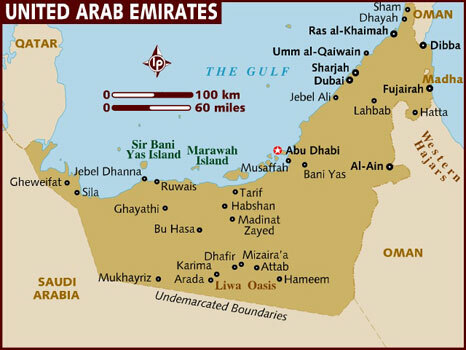 We are a mere 5 minute drive to the Abu Dhabi Airport (AUH) and only an 80 minute drive to the Dubai Airport (DBX). The Abu Dhabi airport currently serves 94 destinations in 56 countries directly while Dubai has 140 operating airlines which serve about 270 destinations directly! This access to the rest of the world allows means that a large number of destinations and good deals can be found, making it possible to visit much of Asia, Africa, and Europe. Even better, the award charts for many airlines have much lower redemption rates to get to Europe as compared to flights originating from the U.S. With all of this working in our favor, we have loosely planned out our travel through the summer of 2016. Thanks to a good stockpile of miles and points earned over the previous 12 months or so (by utilizing credit card offers and other travel hacking techniques), we will travel for much of this coming year using award flights and award nights on airlines and in hotels rather than paying out of pocket. We have set the goal of saving up a good bit of money while we are living overseas and though we plan to travel a lot, we will live relatively simply in Abu Dhabi (especially by local standards which tend to be very extravagant for expats). Tony’s compensation package includes many financial benefits such as a tax free salary, free health insurance for all three of us, and paid housing. Also, Jennifer is now staying home with Matteo; while the experience and time together is of course is priceless, it also means we no longer have child care costs. All of this will allow us to save more of our income, something that would simply not be possible back in the U.S.
We have an ambitious amount of travel planned for our first year here and they all correspond with the ADEC school holiday schedule. The plan is that we will take two trips in December, one in March, and then two stopovers on our way to and from the U.S. on our way back to Abu Dhabi for the start of the 16-17 school year. Details on planned trips to come!